After rebounding from a local retracement 61.8% several times, Eurodollar is starting a new descending movement. 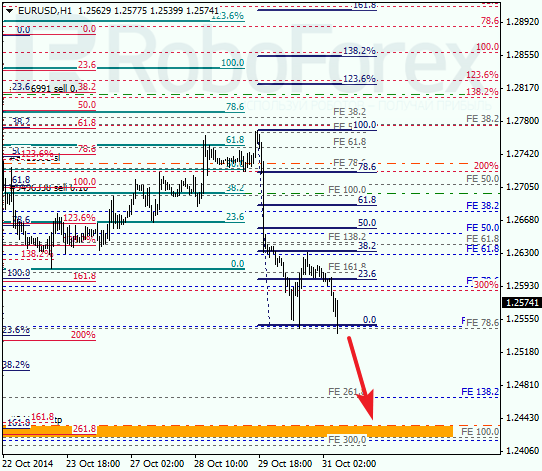 The main target is still the group of lower fibo-levels at 1.2435 – 1.2425. I’m planning to open an additional sell order during a correction. 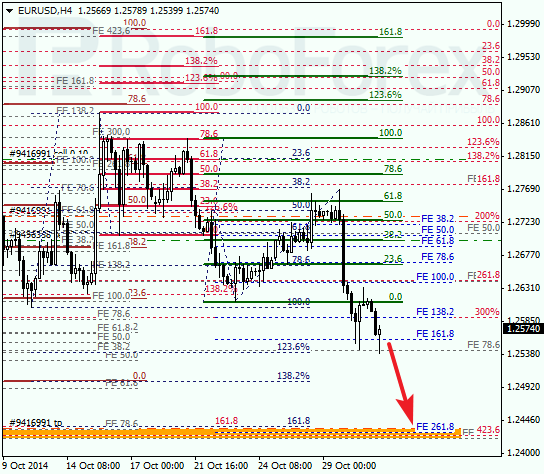 At the H1 chart, the lower targets are confirmed by several local retracements. Yesterday, the pair rebounded from retracement 38.2% and then reached a new low. The short-term forecast is still bearish. Franc continues moving towards its high. 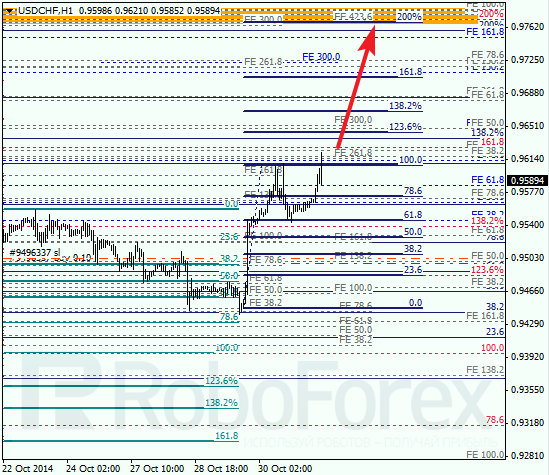 Earlier the price rebounded from retracement 61.8% and resumed growing. The target for bulls is the group of upper fibo-levels. 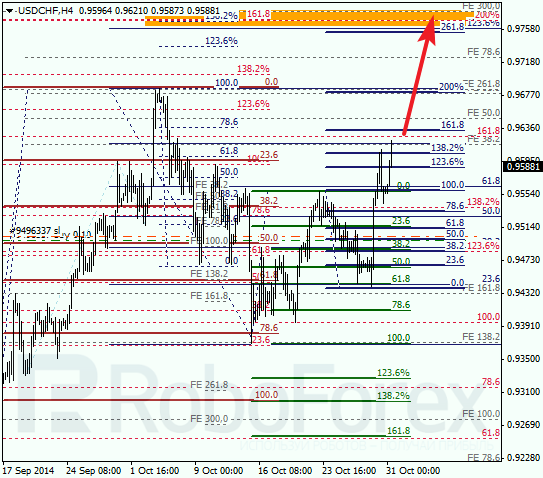 At the H1 chart, the upper targets are confirmed by several local retracements. I’ve already moved the stop loss on my buy order opened earlier to breakeven. I’m planning to open an additional buy order during a correction.